Sen. Bob Casey announced today he wouldn’t vote for Neil Gorsuch for the Supreme Court. By Dan McQuade·	 3/23/2017, 11:22 a.m.
Sen. Bob Casey will not be voting for Judge Neil Gorsuch for Supreme Court, he announced today. 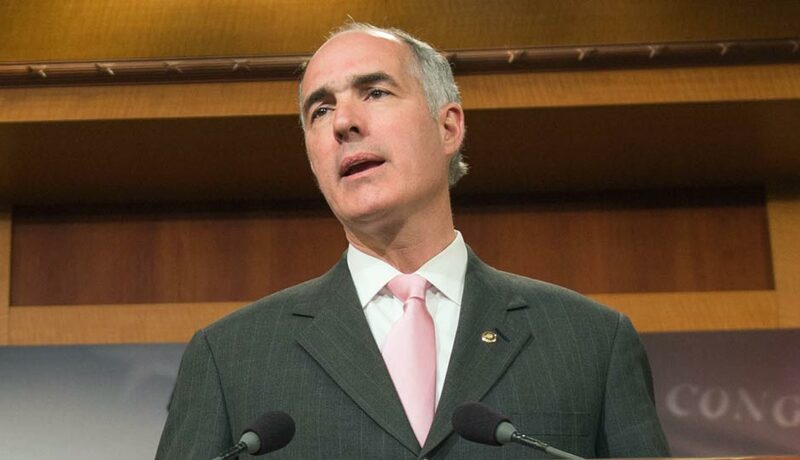 “I don’t believe that Judge Gorsuch, and his judicial approach, would ensure fairness for families in Pennsylvania, and I won’t support his nomination,” Casey told reporters on a conference call today. The Senator also announced he will vote no on cloture — which means Gorsuch will need to meet a 60-vote threshold to be confirmed for the Supreme Court. Casey also released a statement on the matter. Casey said two of Gorsuch’s opinions concerned him: In Compass Environmental, Inc. v. OSHRC, Gorsuch ruled that a mining company was not responsible for a trench hand’s death. In TransAm Trucking, Inc. v. Administrative Review Board, Gorsuch ruled in favor of a company that fired a trucker who left his haul after he had become stranded on the side of the road in freezing temperatures.